Send a trip enquiry to this agency Chryssa’s team speaks English and specialises in tailor-made tours. Chryssa specializes in local and regional development issues and has been active for over 15 years in the area of empowerment of local communities within the context of endogenous development and local management. 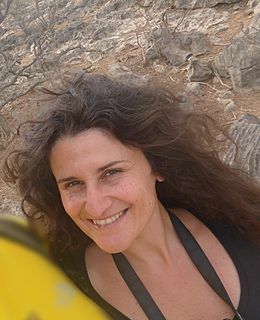 Since 1999, she is actively involved in caving as a member of the Speleological Association of Crete and has participated in many expeditions for the exploration and recording of caves and other Karst formations, as well as in studies and books aiming at promoting the study of the caves of Crete. Browse Chryssa’s customisable tour ideas. Discover and participate in the timeless, traditional ways of cultivating, harvesting, processing and consuming the most important part of the Mediterranean diet – the olive – on this Autumn-only tour. Join local producers and experts using practices stemming back from the times of our grandfathers, harvesting in plots of land without pesticides or substances harmful to the environment. Participants will also get the chance to watch the process of turning the olives into oil in the mill and take with them a quantity of virgin olive oil which they can use in their kitchens at home!NOTE: as the olive harvest takes place in only one season, this trip is only possible in October, November and December. Definitely liked our driver. He was very flexible. Also made suggections about seeing things not on our formal itinerary. 2 night stays, but I guess that was inevitable given what we wanted to,see. Good organization, excellent customer service and assistance. Friendly, courteous and helpful representatives. Enjoyed everything. No special preferences.